With his perpetually tear-filled eyes and propensity to snap tendons while waxing body hair, Shane Watson always appears a figure of fun. Add in his comedic insistence on throwing his wicket away before he reaches three figures and the boy-man becomes symbolic of how Australia has fallen. On the other hand, the guy averages 43 as an opening batsman and more than Michael Clarke in Ashes Tests. He has a good technique and has been through a phase where he looked like pretty much the perfect one-day batsman, hitting brutally and consistently without ever looking like losing his wicket. He probably deserves more respect than he gets and who knows, if Australia’s bowlers do well, a frustrating 92 or 93 might actually prove to be a telling contribution. 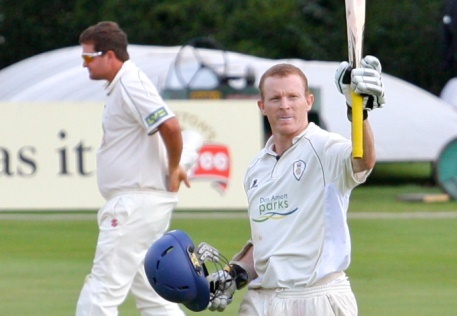 We’ve never seen much of Chris Rogers. All we know is that he’s one of those Australian batsmen who habitually top the batting averages in county cricket. He’s from the previous era of Australian batting and that has to be cause for concern, even if he is now 47 years old. We’ll include Ed Cowan in this section even though he seems to have been shunted down the order. No-one’s terrified of Cowan, but in a team of batsmen who have manifestly not been doing the job, he’s conspicuously been doing a job. He should play. If nothing else, Michael Clarke needs someone to stand at the other end and Cowan is better qualified than most to be that man. Watson deserves more respect than he deserves? Also, the hyphens are not required for the phrase ‘he is now 47 years old’. They would only be necessary if the sentence were ‘he is now a 47-year-old’. What job has Cowan conspicuously been doing? Being the Australian Nick Compton? Pretty much. They’d love a Nick Compton. Well, we’ve got one we’re not using. It’d be a shame to see it going to waste. Someone else who’s conspicuous here is David Warner, by his lacking of mention. Are you saying he’s not going to open for Australia this Ashes? There’s been talk that he might bat in the middle order, so we’ve stuck him in the next post. No idea whether there’s any truth in it. That’s been kind of the issue though hasn’t it? A touring with a team with 5 openers and 2 middle order batsmen (one of whom bats at first drop) was always going to struggle for balance. Adding Steve Smith (as much as he has looked better than many other options) hasn’t done much to address this. If Boof can even salvage a non rain affected draw on tour (never mind a win) it will be a bloody miracle. Wolf – I agree. Openers aren’t really a concern. It’s easy to poke fun at Shane Watson, but let’s not forget that Trescothick was a hugely important building block in the ’05 Ashes series, and he didn’t score a single ton. A couple of quick paced 90s could be decisive. You’re middle order is still padded out with rank mediocrity, however. And huzzah for that. They’re starting to look quite good, aren’t they? We’re going to lose aren’t we? Of course. How utterly, utterly predictable. I don’t know that age necessarily equals experience; Lots of domestic games, yes, but he’s played in one international match, five years ago. Anyway, yay for international cricketers born in the 70s, I say. We need more of them. Swann doesn’t count, because he’s younger than me. A couple of weeks ago i was certain you guys were all set to thrash the hell out of the Ockers, now i’m not so sure. It took a long time to get rid of the absolute certainty that as soon as you thought you had an aussie cricket team on the ropes, that’s when they’d jump up and smash you in the face. That’s faded over the last few years, but now i have my doubts. Bloody convicts; can’t trust ’em. …and yet “Blue and Brown’s Film Reviews” remains. Not “all in” on this cricket malarkey yet, KC? We’re still more proud of that website than pretty much anything else we’ve ever done. We know no-one agrees with us. Far more importantly, can anyone work out who “pant extraction man” in the picture might be? Textbook girth there, ideally suited for that pant manoeuvre. Not sure why you’d be playing dumb, so we’ll take that question at face value: it’s Rob Key. I wasn’t sure. Racked with doubt, I came in need of both factual and spiritual guidance, which you have so kindly supplied. Order is now restored to my idiosyncratic world. What an odd exchange. Even for you. Not odd when you take it at face value, Sam. I’ve got a new and troubling advert (which is nothing to do with my browsing history, despite what KC says). There’s a picture of an attractive lady, a statement – Learn the Three Questions that will Make Her Want to Kiss You – and a button for me to Watch the Video Now. – Will Australia bat defensively or will they go for bust? – Will any batsman in the Ashes get a pair? – How can Phil Hughes and David Warner best be described? I think you’re going to have to click the button, Bert. What’s the worst that can happen? By the way, has everyone seen this? The picture caption makes me want to open up a vein.